How to Access Hulu from Anywhere? Are you a GoT Fan? Watch Game of Thrones on Hulu Outside US with PureVPN. The most popular streaming service of the US is hosting Game of Thrones Season 8. You can watch all the episodes of the latest GoT season even if you are outside the US. Why Do You Need A VPN For Hulu? There are many road blocks that can keep you from streaming your favorite shows on Hulu. But, with PureVPN, you can easily get past all the road blocks and enjoy live streaming on Hulu at fastest speed. Your ISP keeps a strict surveillance of your network activities, which also allows it to throttle your speed. PureVPN not only changes your IP, but also encrypts your traffic so that ISPs cannot cap your internet speed. PureVPN provides its users with a quick and easy way to access their favorite live streaming channel, Hulu. All you have to do is choose the Hulu channel, and the extension handles the rest, allowing you to access Hulu Live as if you were in the US! Speeding bullets are fast. Streaming with PureVPN is faster! Does PureVPN come with a Hulu account? Sadly, no! PureVPN does not come with a Hulu account. You have to subscribe for Hulu separately. Can I stream Hulu while travelling? Yes! You can watch Hulu while you’re on-the-move. No matter which country or region you are travelling to, you can watch your favorite TV shows using our Hulu VPN. Can I watch live TV on Hulu.com? Definitely. You can watch more than 50 live TV channels, including live sports, shows, news, events, and more. When you subscribe to Hulu with Live TV, you will be able to watch live and on-demand TV from over 50 top channels. Hulu is free while Hulu plus is not. Hulu plus has advantages that Hulu doesn’t such as: commercial free, access to 5+ of the latest episodes, access to previous seasons, iOS, Android, Windows, Consoles, & Smart TV Compatibility and more. Can I watch my favorite shows on multiple devices with PureVPN? You sure can! Our VPN is compatible with Windows, Mac, iOS, Android, Routers, Linux, iPhone, and iPad. Why is Hulu not working after connecting to VPN? There might be something wrong with your internet connection, or we might be facing technical difficulties. Either way, contact our 24/7 customer support team, and they will have your issue resolved in no time. Currently Hulu is only available in the US. Hulu also works fine on US Military bases in other countries. However, it doesn’t work anywhere else without a VPN. Hulu does have plans to expand to newer regions and territories in the future, but it may not happen anytime soon. Is Hulu available outside the US? Outside the US, Hulu only works in US military bases in other countries and Japan. Hulu in Japan is tailored according to the Japanese experience and provides customized content to the Japanese target market. What to do when VPN is not working due to Proxy Error? There can be multiple reasons due to which your VPN may not work with issues. These are problems are not because of the shortcomings or poor functionality of the VPN but rather due to inaccurate settings. Can I use a free VPN to watch Hulu? A free VPN can be used to unblock anything which is not available in your country, such as Hulu. However, it is strongly recommended that you should never use a free VPN. Unlike paid VPN services that value their users’ privacy and security, free VPN services make money by selling of user data, which is at most times personal and sensitive in nature. It’s advisable never to compromise your privacy and security with free VPN services just for accessing restricted content. Will using Hulu and VPN slow my connection? This totally depends on what kind of VPN you are using. If you are using a free VPN services, your speed will drop significantly and your bandwidth will be reduced. Moreover, you may face issues such as ISP throttling, which can lead to an annoying streaming experience that will be consistently slow. However, if you opt for a premium VPN service that has been optimized for streaming, such as PureVPN, not only will your speeds remain stable, but also you will get extremely smooth and high-quality streaming along with unrestricted access to anything you want. Does a VPN let me watch Hulu for free? A VPN will only unblock your access to Hulu from another country where Hulu does not normally work. To use Hulu, you will still need a valid Hulu subscription plan. Hulu is a great streaming service but is only available in the US. Outside US, you will not be able to access Hulu, even if you have a valid subscription. If you need to access it anyway, what you will need to do so is a Hulu VPN. 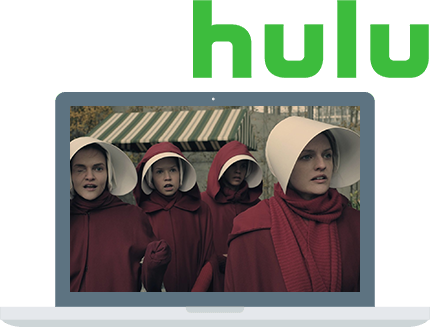 A Hulu VPN is a VPN which is optimized for allowing you to access restricted streaming services. PureVPN is a great streaming VPN optimized for Hulu, and allows you to access it without letting you compromise on your download speeds or privacy. How to access Hulu outside US with PureVPN? To access Hulu outside US with PureVPN, ensure that you have installed the PureVPN app on your streaming device. After that, launch the app and hit connect. While connecting, select US as your preferred server so that your virtual location can be switched to US. This allows you to access all content that is not available in your current region, but is available in the US.